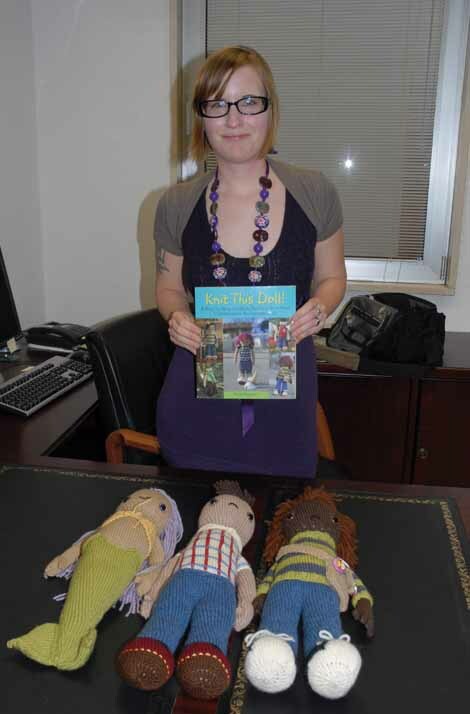 Today’s guest post is from Specialist Nicki Moulton who recently published her book, Knit This Doll! Some of you may know Nicki as Michelle Timian’s twin sister and others as someone who serves our country. Check out this piece the U.S. Army wrote about her book and remember to Support Our Troops and say Thank You to those who serve our country. The moment when you hold your first published book in your hands is a moment that is hard to forget. It is finally in front of you, all polished and crisp and actually in book form. Believe me, it’s quite surreal to see your book when it actually becomes a book. Before that moment, it was an idea. For years, it was a just ‘the manuscript,’ something that existed as little more than a Word file. You spent years working on it, polishing it, opening it and closing it. You searched for an agent, dealt with rejection after rejection until you hooked someone who loved your idea as much as you did. Then the two of you searched for a publisher and tried to woo them to believe your book could be their book, too. You spent months of going back and forth with edits, edits, and more edits – analyzing every last word, to see if it sounded right, if the words flowed correctly, if it all made sense. And finally, you sent it off – the last moment it would be just ‘the manuscript.’ The next time you would see it, it would be that moment when you hold your book in your hands. It’s not just the dream, the manuscript, or the Word file anymore. It’s your book. Many authors celebrate the publication in their own ways. Book signings, maybe a tour if you are lucky, but at the least, a night out with friends and family. Not too many people hold their book in their hands, freshly torn out of a mailing envelope, and have to rush back into a 206 person strong formation, standing at the position of attention, trying not to grin at the thought that your first published book is in your hands and you were promised an hour of personal time that night. My journey to publishing my first book started just like anyone else. It started with an idea. My idea happened to be a knitting book based on patterns for dolls that I had been making for years. I sent a query letter to a literary agent specializing in nonfiction, and more specifically craft, books – addressing what would make my book unique from any other in the market. After I signed a contract with Epstein Literary, me and my agent, Kate, began to look for a publisher. It was quite exciting, especially when both Wiley (the largest nonfiction publisher in the world, though their name never seems to ring a bell with people) and RandomHouse made bids for the contract. Wiley won in the end, mostly because they were eager to give me a lot of artistic control over what I made for my book. Then began the very long, and strangely very unfulfilling and frustrating, job of making my manuscript perfect. Making a knitting book is different from say, a novel. To get a novel published, you have to write the entire book and hope that you didn’t waste years of your life writing it. For nonfiction, you basically sell an idea. You need a few examples of what you want to do (I made three dolls for the proposal, but for something like a memoir, you would need a sample chapter and a projected table of contents), and then you just hope someone likes it enough to publish it. It is a lot less ‘risky’ than when I used to write novels. If someone doesn’t want to publish your nonfiction book (my second book ended up getting turned down by every publisher we tried to sell it to), all you really lost was the idea and the time it took to write a proposal. Writing the manuscript was fun, but as I hinted at, editing a manuscript was like pulling teeth. It’s a seemingly never-ending process of correcting and fine-tuning every last letter and word. I looked at the manuscript so much that I overlooked the most obvious errors (like not even mentioning my Mom in my acknowledgments, or that I never mentioned the actual size of my dolls anywhere – thankfully the cover designer added it on the back cover). Writing and editing the manuscript nearly took me a whole year to finish, and by the time I was done, I never wanted to open a Word document again. To say I was excited to get my first book published was an understatement. I talked to local yarn shops in my hometown of Chicago about book signings, and convinced one of my friends who owns an art studio to hold a book release party. It was all going very normally, as far as publishing a book goes, but none of those plans would ever come to fruition. My route on the normal-first-time-book-publication-road took a serious detour. Anyone that knows me knows that I love to live life to the fullest. I hate thinking that I might one day be laying on my death bed and say “If only I could have done that!” So, I decided to do something I had wanted to do all my life. It meant that I had to sell almost all my possessions, quit my lease on an apartment I loved, say goodbye to my husband who I wouldn’t end up seeing for nine months, and basically give up all notions of living my normal life. I made one last look over my manuscript and got on a plane headed for Fort Leonard Wood, Missouri. I was about to start Basic Training to become a soldier in the US Army. My book ended up in my hands about a month before I graduated. For five months, I had been living in barracks with 200 other people from all over the world, waking up every morning at 4a.m. and struggling through some of the toughest, and most fun, challenges of my life. For the first month, we didn’t even have ‘personal time.’ Every last minute of our day was in the company of a Drill Sergeant who told us what to do and never hesitated to let us know how badly we were doing it. After that first month, we had an hour of free time just about every night during which we were free to take longer showers (our showers were about a minute long before that, and I do not even exaggerate on that point), clean weapons, talk with our new ‘battle buddies’ and write letters. I had my sister mail me yarn and needles. Although the Drill Sergeants teased me, I knitted even while in Basic Training. After a few weeks, they transformed from the bullies you picture from Full Metal Jacket to mentors we were able to talk to and joke around with. I’m even Facebook friends with some of them. When I got to that moment where I held my first published book in my hands, I had no idea how short-lived the moment would be. For the next week, a sort of game started where the Drill Sergeants would ‘secure’ my book from me, hold it captive in their office, and then call me down to get it. They would sometimes call me down to the CQ just to answer questions they had about the whole process of publishing a book. One of my Drill Sergeants was so freaked out by the dolls’ eyes that he refused to look at the book, keeping it under things and generally avoiding it like it was the plague. Sometimes I had to buy it back with push-ups, but mostly the Drill Sergeants would just hand it back with bemused looks on their faces. I have a feeling that I might be the first person to ever get a book published while in Basic Training. Sure, deciding to attend Basic Training was a set back in a lot of ways. Since I was in Basic Training when it was released – an environment where we got to call home for an hour once a week – I had no ability to promote it. There were no interviews, no reviews in big knitting magazines, no book signings. There was hardly a peep about it anywhere. I had asked a friend to make a website for the book while I was in Basic, which never happened. When I did graduate Basic, I had a week to gather my things before I got on another plane to my first duty station – in Italy. Although there were plenty of yarn shops around my new house outside Venice, no one was willing to carry a book in a language they couldn’t read, much less hold a book signing. Trying to get the book published in Italian never went anywhere, either, probably because the book was selling an average number of copies and it wouldn’t be profitable to make another printing in a different language. The real danger to my writing career is the effect my decision to join the Army would have on my future projects. A failure to promote my first book doesn’t look good on my ability to promote future books. If my first book isn’t profitable for the publisher, then future books might not either. It’s the consequences, whether I like it or not, of my decisions. Yet, even if it would be the only book I would ever publish, I wouldn’t trade anything for that moment when I held it in my hands at last – surrounded by soldiers excitedly asking me if it was my book, and being happy I would have a whole hour to look at it before going to bed. I’ve always been curious about what inspires my favorite writers. Whether they are bloggers, freelancers, scriptwriters, TV writers or novelists, they have to draw inspiration from something. I want to thank all of you who contributed your questions and I hope you enjoy this special edition of Seven Questions. If you want to see your favorite blogger/writer interviewed, contact me. Her Impact on Me: Michelle and I have been working together for 3 1/2 years. Her dedication to her writing is insane as she continues to type ferociously on a daily basis. I’m proud to say I helped with the creation of this blog and I’m happy to help her celebrate it’s relaunch on October 24th. Person of Letters: Why did you start writing/blogging? Was it for personal or for professional reasons? Michelle Timian: There’s not a definite moment when I thought to myself, I am going to be a writer! I’ve always known it. I remember being five and making picture books for ridiculously swiping epics. But it wasn’t until my disastrous first semester in college when I realized biology was not the major for me and that I really should change my major to English and Creative Writing. That’s when I knew I had hit the “no turning back” point. And it’s been great! Since graduating college, I’ve been working on one project/idea or another. My novel CURSED, while it’s still a very new project (unlike some that’s been with me for years and several different format incarnations (comic books anyone? )), has been my greatest success so far. A great deal of that stems from the cursedthenovel blog, which allows me to post pages of my novel online. I’ve never created a blog before, so it’s been an exciting experience, especially seeing how many people have read my novel because of it. My plan in the future is to use the cursedthenovel blog to talk about more than just page updates: I have ideas of discussing the inspirations behind CURSED, where the character’s names come from, what countries inspired Ladamay, etc. POL: How long do you think about what you are going to write before you write? MT: Years. Literally. At least, that’s when I feel like I am writing at my best. For my novel The Elevator, it took me about five years to reach the point where the heroes Jason and Samantha visit a character I’ve been planning since the idea for the novel struck me in 2004. I really like getting a very specific plan for everything happening in a novel, which is essential when working on a long epic fantasy series like Elevator, and that takes a while (for me, at least!). For CURSED, things are different. I’ve had the idea for this book in my head since March of this year before I started writing it in May. I spent two months really plotting out the whole story, gaining an understanding of the emotional growth the characters go through, where I want the story to eventually end up at, and what needed to be done to get to that point. So when I started in May, I had a pretty good idea where I was going. An outline. For example, when I planned the scene I will post on October 24th, my plan was “Treve and Leo are interrupted from talking; Treve goes to the prison temple.” I had no clue how to get between these ideas until I was in the process of writing, and the answer was a huge surprise! That really is the best part about writing. I definitely love having a plan, but I also keep my expectations loose enough for the story to take me whenever it needs to go. I like being as surprised and excited about my novel as the reader. POL: Is there something you carry with you at all times to write ideas that may pop in your head? If so, what is its? A notebook, your smartphone, a scrap of paper? MT: I have a creative journal with me at all times, but it’s not really vital to me; if I lose it, I won’t lose all of my ideas. For CURSED, I have notes such as “Treve wears purple a lot” and “Remember the white mule.” If these details don’t make it into the novel, it won’t be a catastrophe or create a plot hole…it’s just things that are so small that I might forget them. Everything else is in my head. The only time I have gone crazy with taking notes was when I was traveling through the Slovenian countryside. The moment I left Ljubljanain route to Zagreb,Croatia, I knew this was the landscape I wanted CURSED to be based in. I kept writing down details I saw (such as the red, red soil and rocky meadows) and what buildings looked like and how the country people were dressed. Pictures didn’t do it justice and I didn’t want to forget anything. I mean, I wrote down what birds I saw and the color of trees. On the far end of note-taking, I can never write out a whole summary before writing a novel. To me, that’s like creating the whole story. The thrill of creation is gone. So I go over plot points in my head, over and over again, until it comes to the point where I write them. It means I do a lot of thinking for my books, but I couldn’t have it any other way! POL: How do you battle writers block? MT: I let it run its course. I never force a moment in the story if it doesn’t want to come, because I believe either something better is brewing in my subconscious or I just haven’t reached the point where I could write it. I’ve never had a problem putting a story on hold to let it stew a while. If I am desperate for something to write, though, I usually turn to something silly and pointless to get words on paper: stories that never get finished. Eventually I get back to the “real” writing. POL: What is your favorite book/blog? Do you draw inspiration from it? MT: Hands down, The Lies of Locke Lamora. For writers of any genre, but especially for fantasy writers, this book is simply amazing to get inspiration from. The dialogue is the most sickeningly, wonderfully, well-crafted dialogue I have ever come across anywhere (except Shantaram, which is a lesson in making each character talk and sound completely different from one another). His characters are so finely developed I have on several occasions felt afraid for their well-being. The world-building is the best I’ve seen anywhere…to the point where I’ve noticed literary agents actually requesting works with as much flawless details as Lamora. Plus, best part is…its fun. It’s silly. It’s hilarious, clever and so easy to get pulled into. It’s about con men who aren’t really the nicest of people but they are so easy to root for. Any time I pick this book up, I keep analyzing it to see at what point I utterly believe in these characters, at what point they and their world become real…its amazing. If I can ever achieve this level of perfection, I can call myself a good writer. MT: One author I can never get enough of is Mervyn Peake. He isn’t a favorite author of mine, but his novels are so incredibly whimsical, powerful and just plain bizarre (think Neverending Story soap opera) that I fall under his spell any time I pick up his books. The world-building is so perfectly done, it’s fantastic. I challenge anyone to read Titus Groan and not feel like you’ve actually entered some other world…everything Peake writes carries that kind of conviction. I’m always inspired by it (and Lynch’s world-building too) that I would love to reach those same heights myself. I am also a HUGE fan of Hergé’s style of adventure and always try to capture something similar in my own stories…something that can be just plain fun and exciting and sweeping without throwing too much angst into the mix, which is what turns me off of so many novels and comic books out nowadays. I just want a fun book! When I was a young writer, I really wanted to make something IMPORTANT and SERIOUS that would wow readers with how great my writing was. I would only read the most literary books I could find and scoffed at anything that wasn’t a Pulitzer Prize winner or literature bestseller. I read Roots when I was 11. So you can imagine just how terrible and self-important my writing was back when I first started putting pen to paper (or fingers to keyboard) in high school. Then I went to college. After 4 years of reading nothing but classics and heavily important literary works and discussing all sorts of themes, I had enough. I needed something light, fun, airy. That was really when my writing turned around. Some of the most eye-opening reads were William Goldman, T. H. White and especially Lawrence Block’s Hitman series. Oh, and Wodehouse. Which is a perfect read to start taking yourself less seriously. 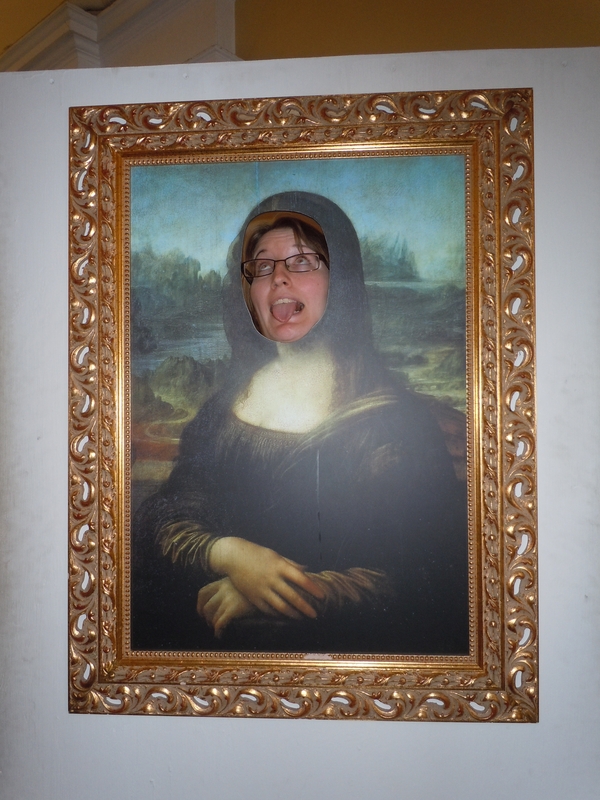 It was almost a relief to find out that you can still make readers fall in love with the characters (Goldman), still have moral issues (Block) and still have an amazingly beautiful lessons to teach (White)….and still be silly. Those are my goals for my own writing. POL: Tell us something about you and your writing that we might not know. MT: None of my characters have ever been based on real people. You know, like cameos of friends, family, oddballs… Instead, all my characters are based on myself. I take some small aspect of my personality (good or bad) and make it a character’s defining quirk. It makes it so much easier to write them! !